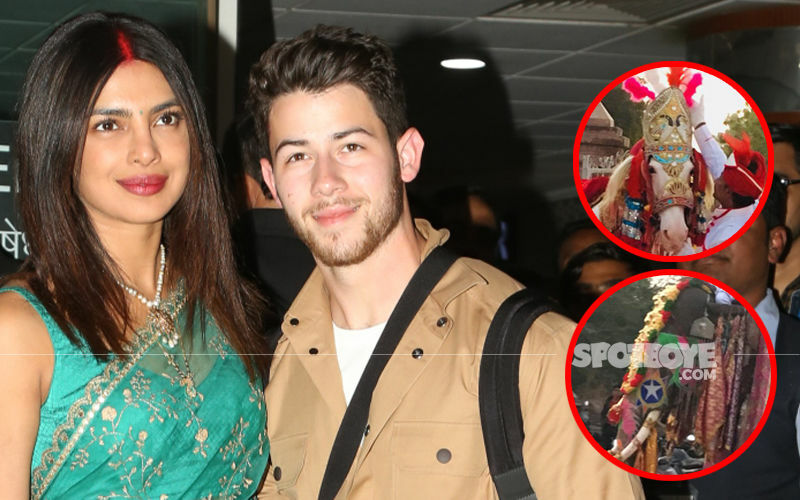 Priyanka Chopra and Nick Jonas married twice at Umaid Bhawan, Jodhpur. On December 1, they became man and wife in a traditional Christian wedding ceremony which was officiated by the singer’s father. 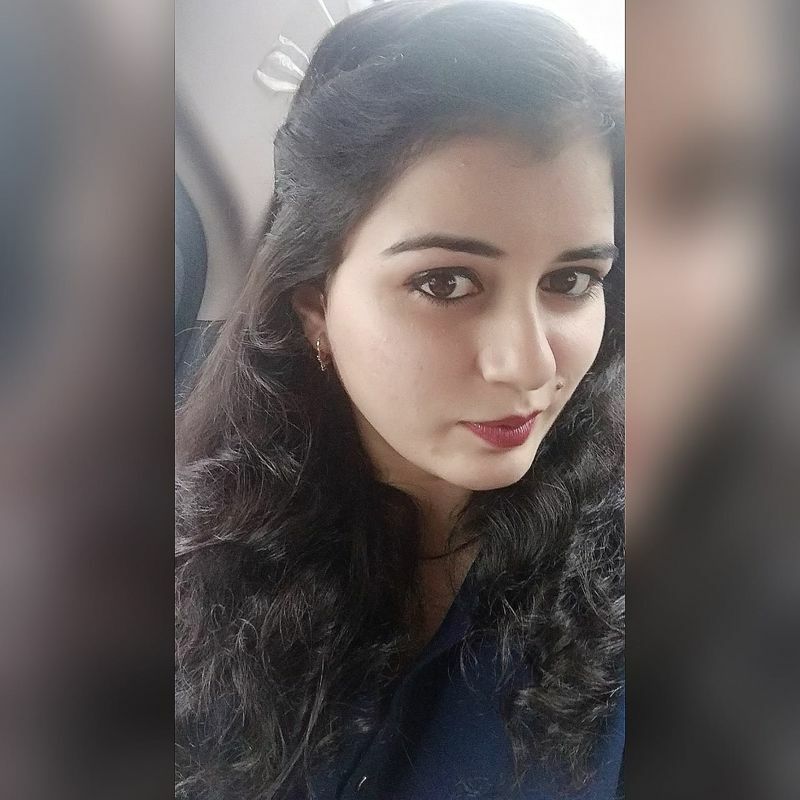 On December 2, the two tied the knot according to Hindu customs. The newlyweds released their wedding pictures yesterday and, we must say, they were romance personified. 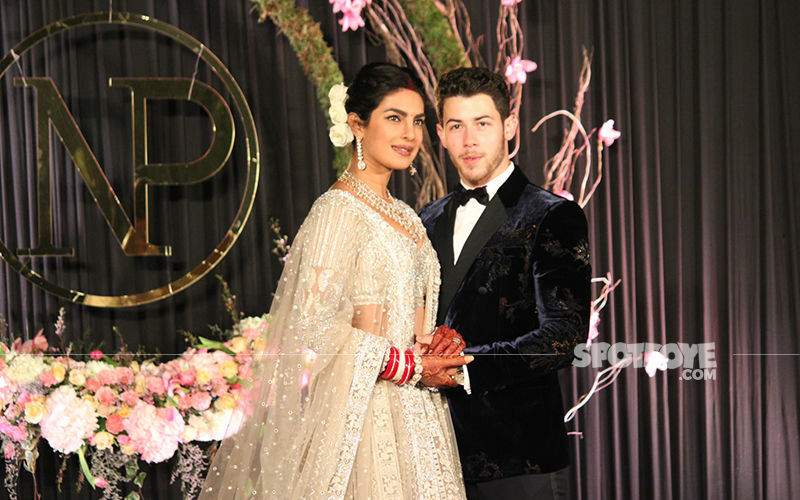 For the Christian wedding, PeeCee and Nick wore Ralph Lauren outfits while the Hindu wedding was all Sabyasachi. Soon after the two released their wedding pictures, congratulatory messages started pouring in. 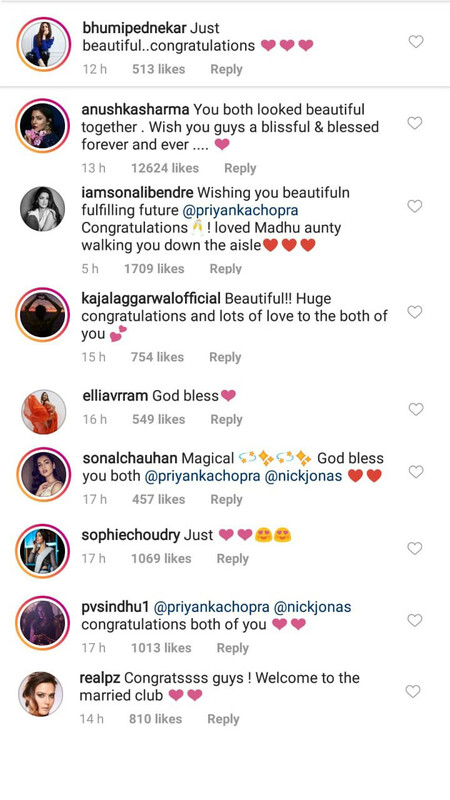 While a few commented on their Instagram posts, others took to Twitter to wish the couple. 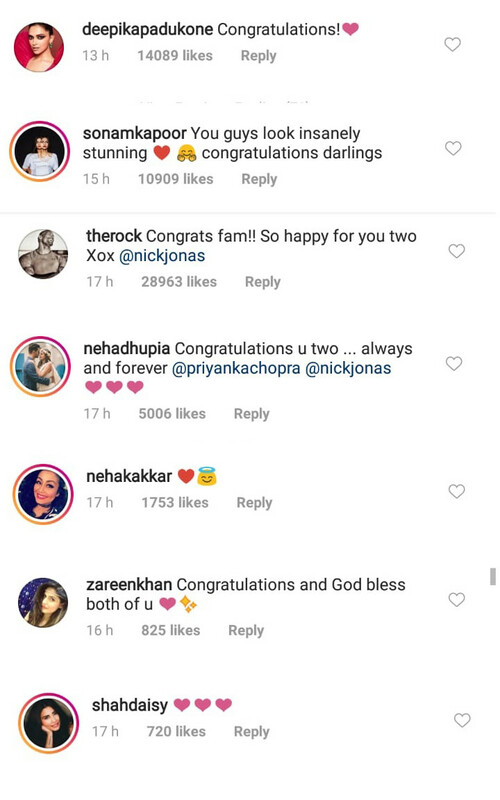 Deepika Padukone wrote, “Congratulations.” Neha Dhupia, who recently welcomed her daughter, Mehr, said, “Congratulations u two... always and forever.” The couple’s common friend, Dwayne Johnson wrote, “Congrats fam!! 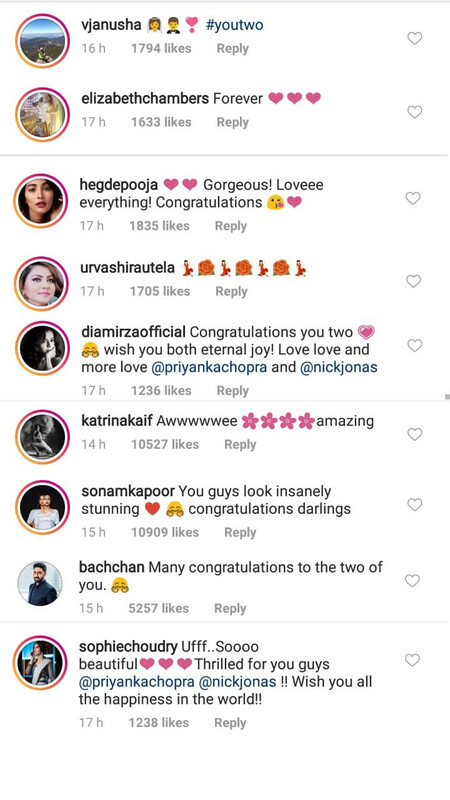 So happy for you two Xox.” Katrina Kaif and Sonam Kapoor too expressed their joy on the happy occasion. 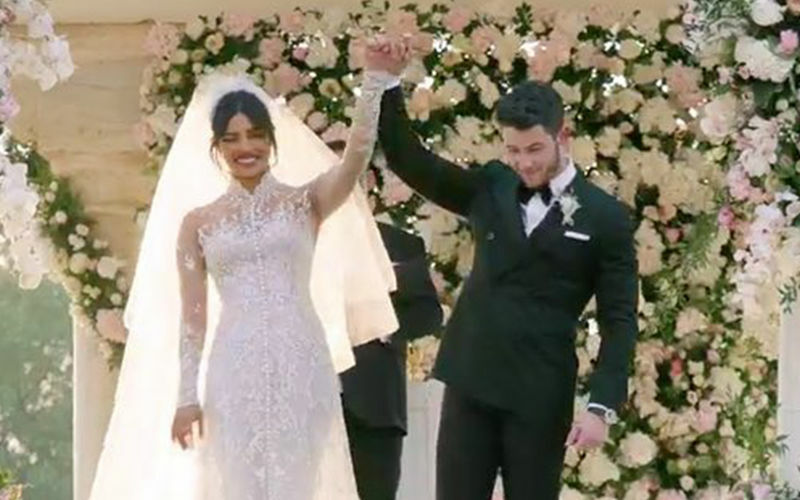 Congratulations @priyankachopra & @nickjonas!! You both look so gorgeous and sumblimely happy in your wedding pictures! I wish you all the love & happiness in the world! So beautiful ! Congrats & God bless! 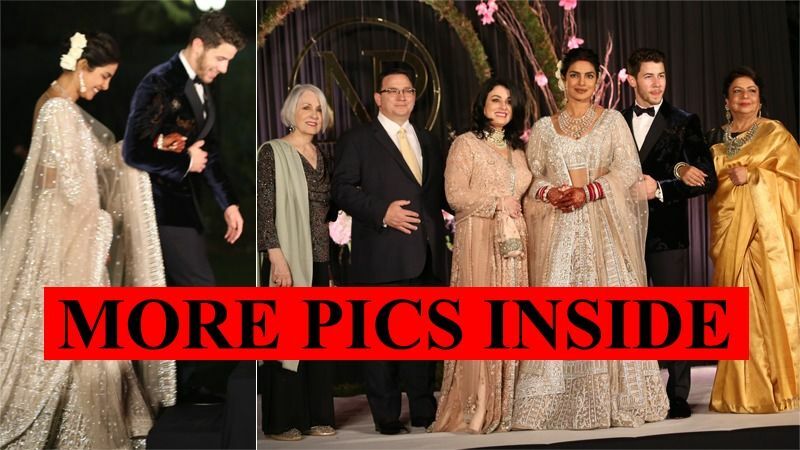 Priyanka Chopra and Nick Jonas held a wedding reception at Delhi’s Taj Palace Hotel yesterday. 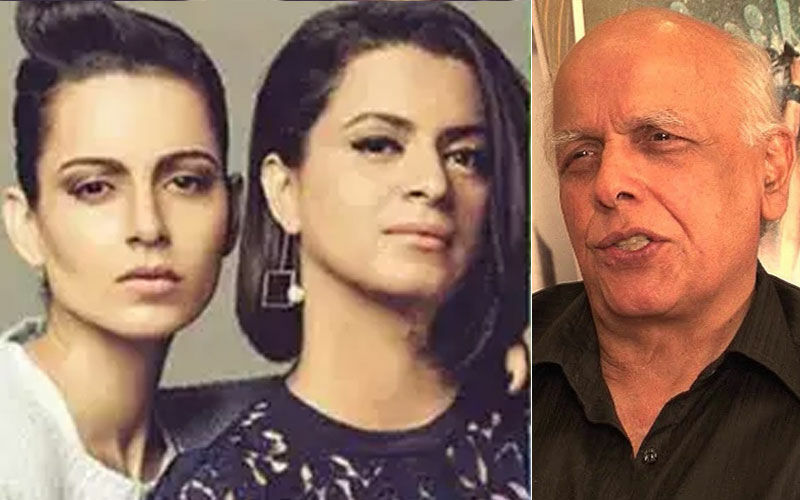 While the actress shined in a Falguni Shane Peacock, the singer complemented his bride in a blue velvet suit. 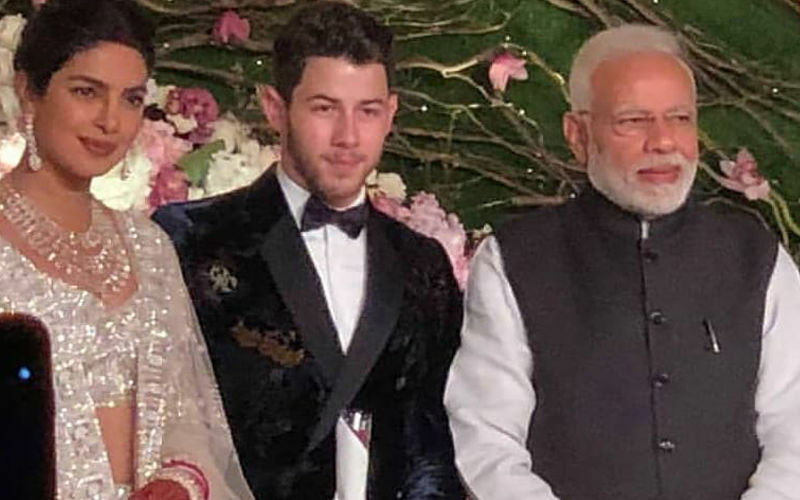 The grand affair was graced by Narendra Modi and several others.